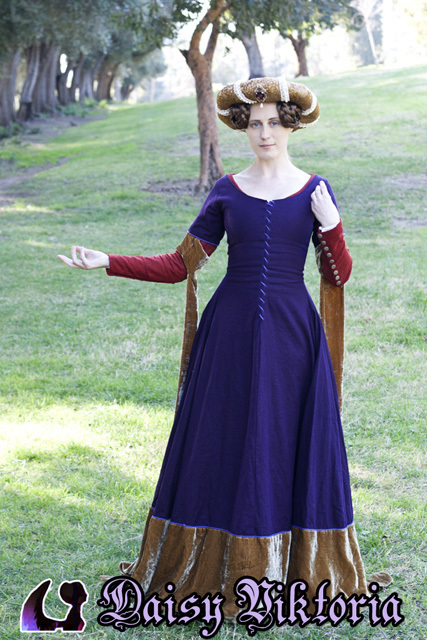 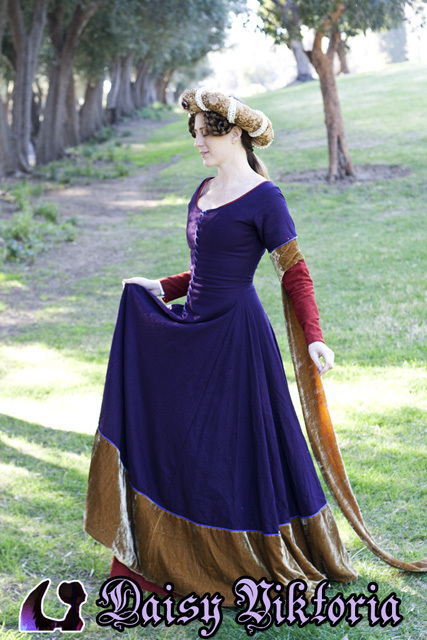 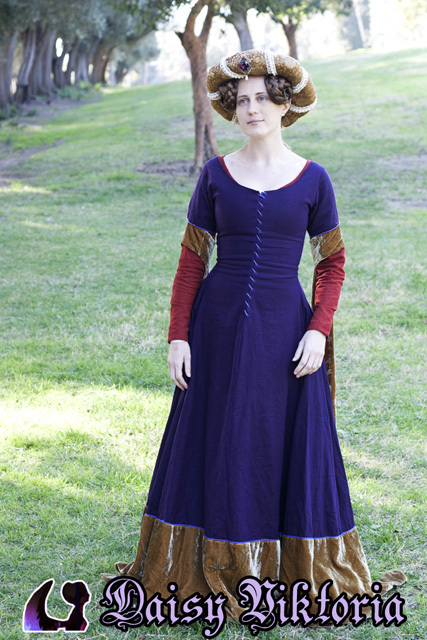 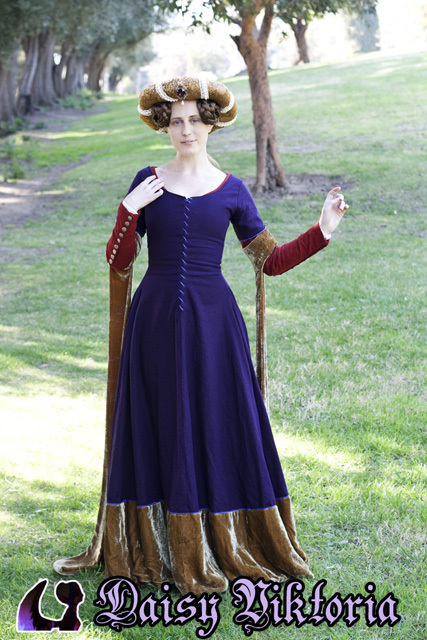 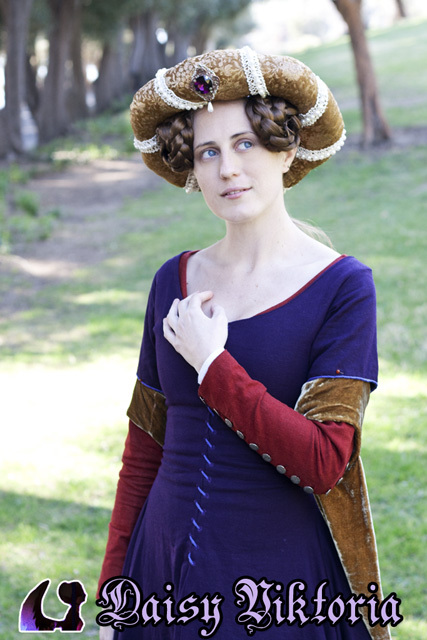 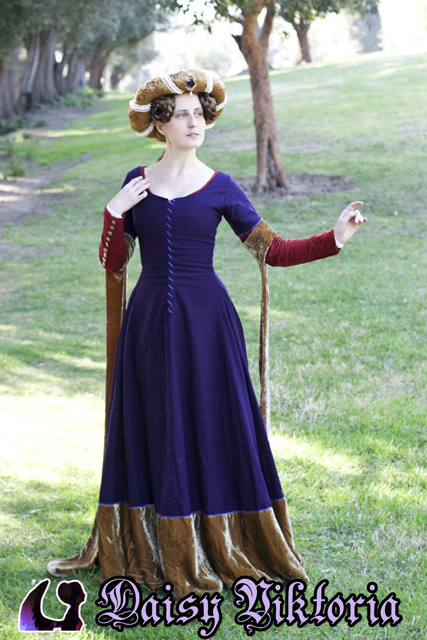 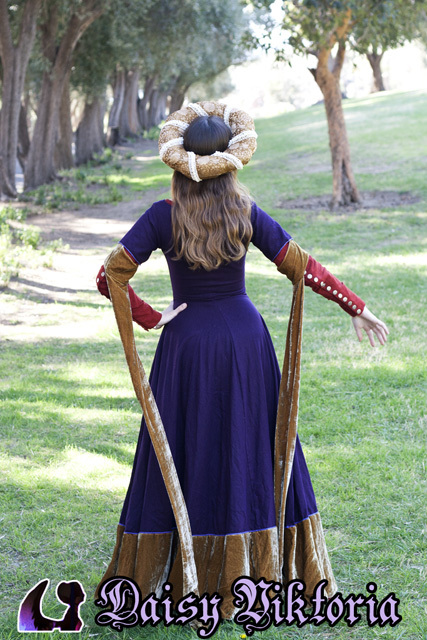 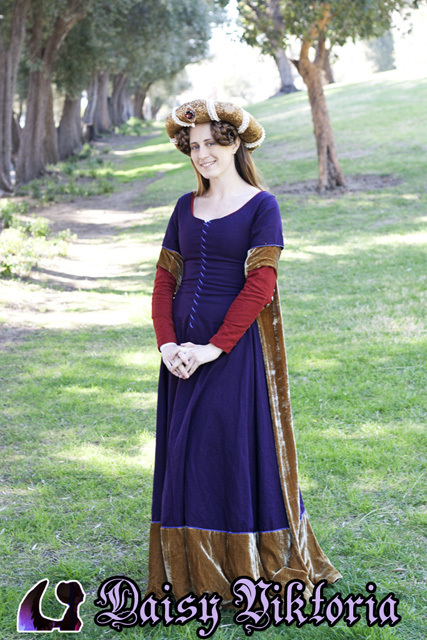 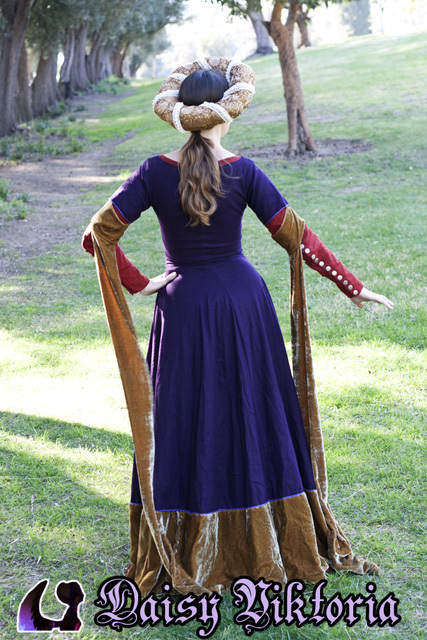 This gown is based on early 15th century sources. 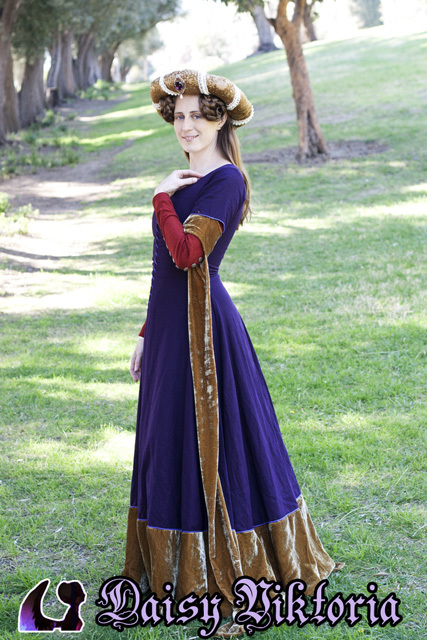 The outer layer is made of linen with silk velvet trim and tippets. 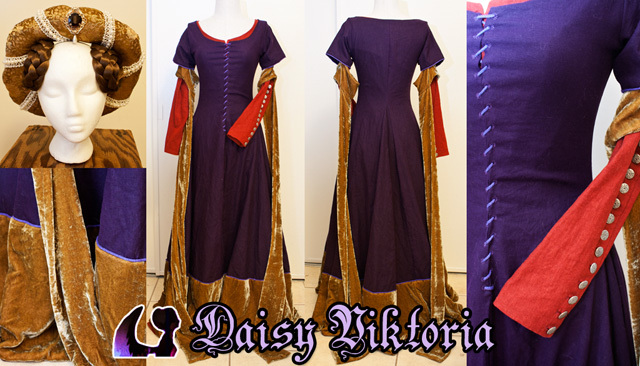 Hand woven cord has been couched on the edges and is also used for the front lacing. 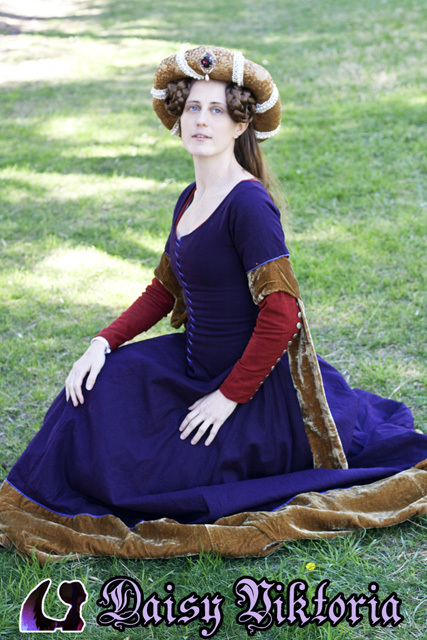 The gown is worn over another layer of red linen, as well as a white under dress. 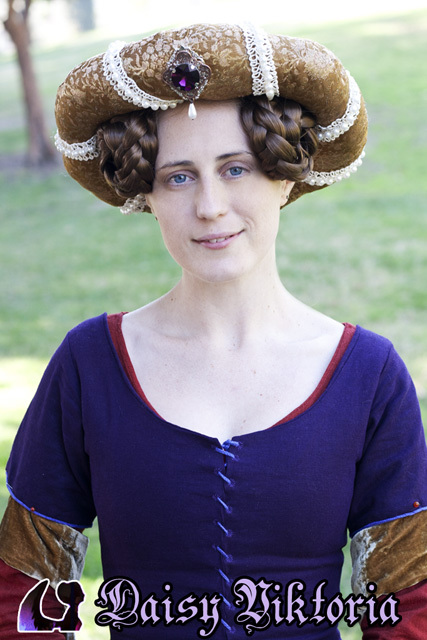 The hat is accented with a gem in front.